Although there are many variations over the years, this guide will cover identifying the more common watches. 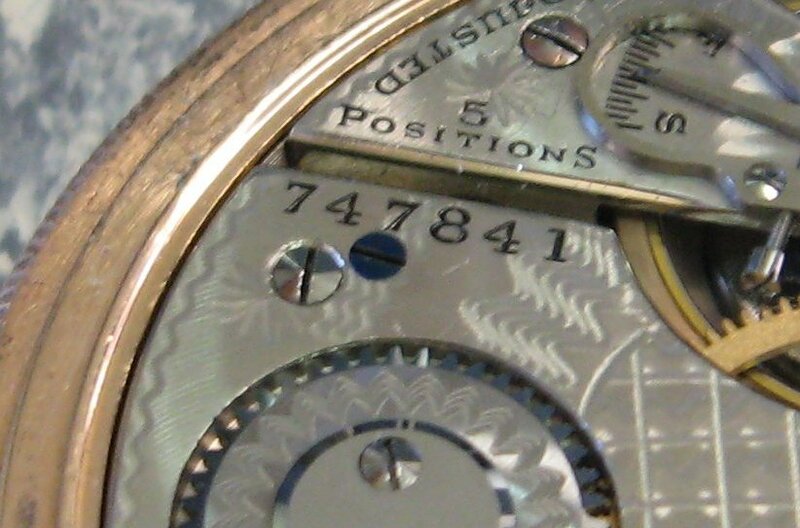 (1700’s-early 1800’s) will usually have the origin and name of the maker engraved on the plates of the actual movement. 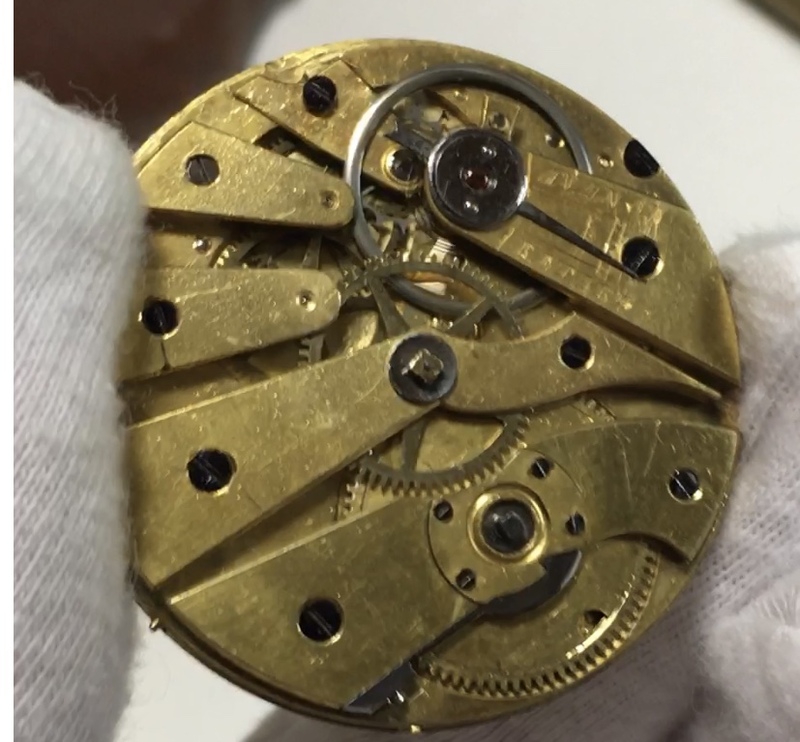 The movement usually was a fusee chain driven verge (or lever) type. These typically had two cases, an outer shell, and an inter case that swings out exposing the dust cover. Carefully sliding a lever will remove the dust cover gaining access to the movement for identification. 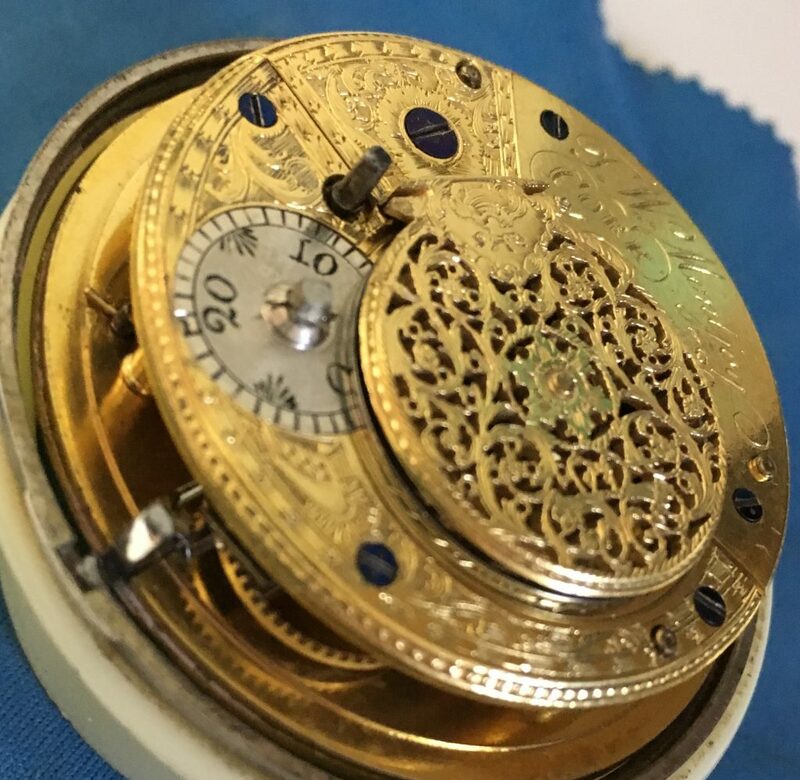 Lever and cylinder escapement pocket watches (non-Fusee) were abundantly produced throughout Europe during the 19th and 20th century. Many were cottage industry “generic” watches. The wheels and plates were manufactured and sent out to be assembled by jewelers or individuals. 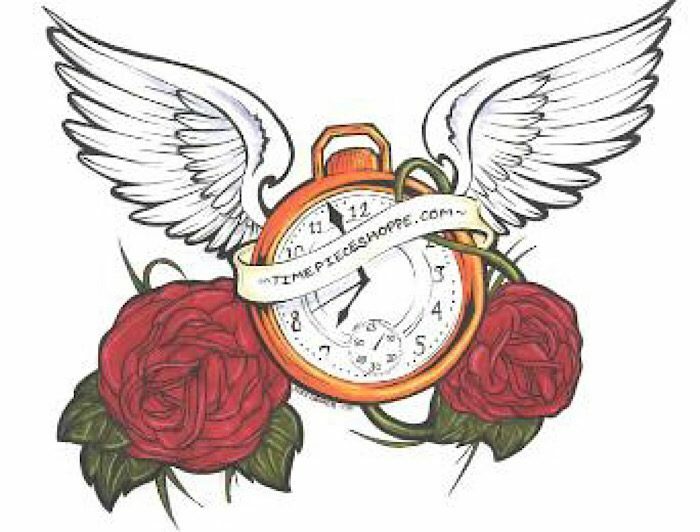 Other watches were of high quality manufactured by well known makers. These watches have their maker proudly displayed on the dial, and on the movement. Most of the cases were easily opened and identified. 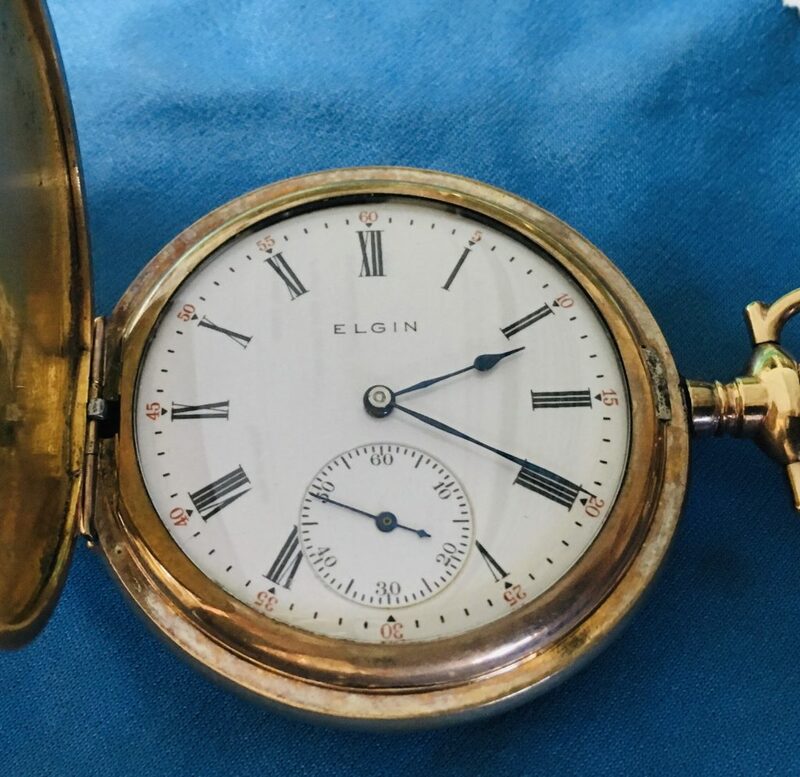 The mid 1800’s saw the rise of mass manufacture watches from the United States (Elgin, Hamilton, Waltham, Illinois, South Bend and others). Most American watches will have the name of the maker on the dial of the watch, and on the movement. Most are accessible by opening a screw off or snap open case back. In some instances, the name on the dial was not a recognized maker, but displayed a private label. 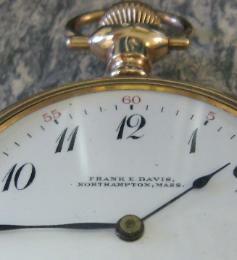 This is an example of a private label watch with the jeweler’s name “Frank E. Davis”. 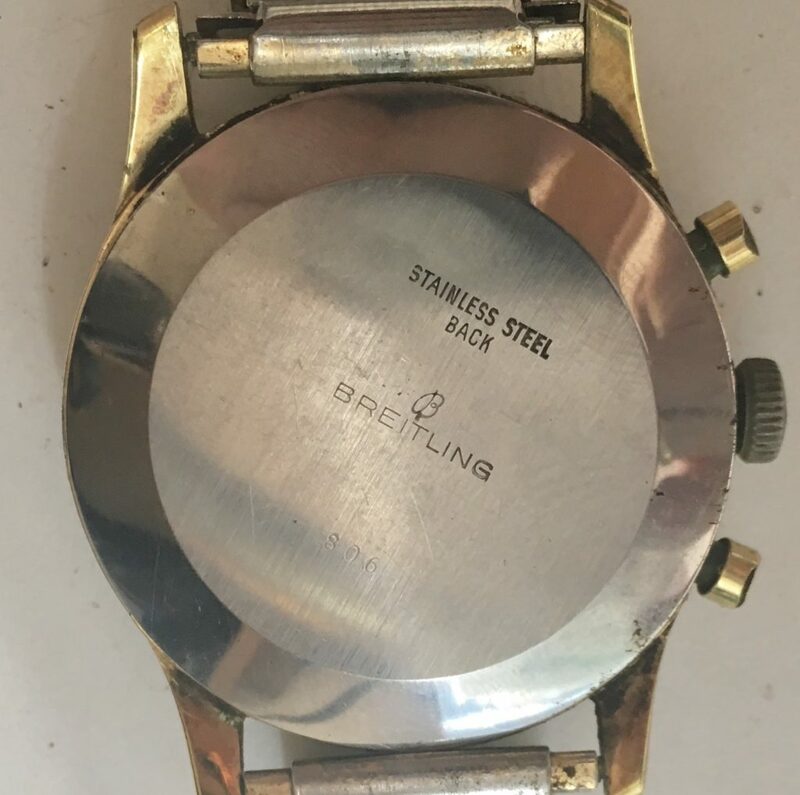 When we open the back of the watch up, it indicates that it is actually a Hamilton watch but the jeweler cased at the shop, and had a number of dials made with the shop name. As chance would have it, I happened upon a reference to Frank E. Davis of Northampton in a “Jewelers Curcular” dated Jan. 11, 1899. You can view the excerpt here. There are also other exceptions such as Ball pocket watches. 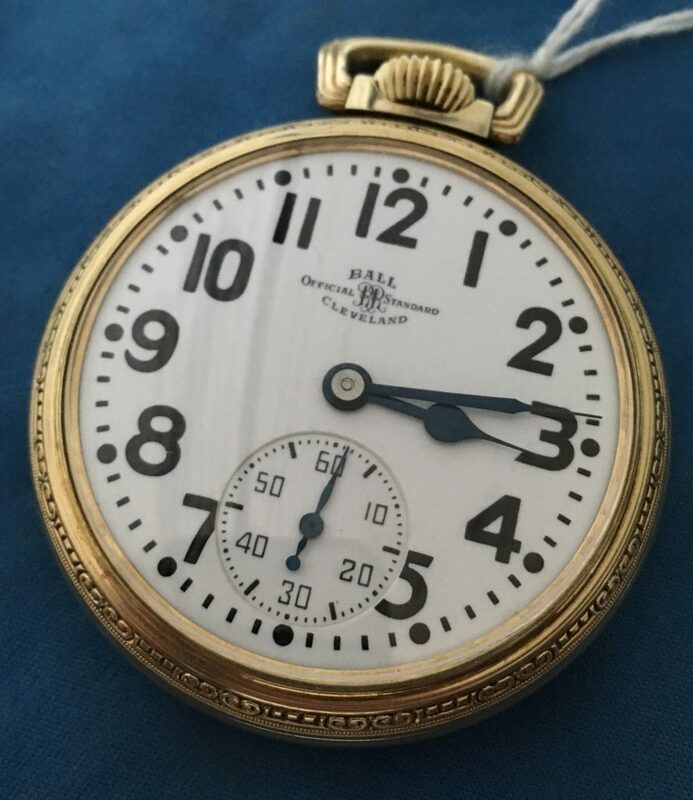 Ball was not a manufacturer, but provided standards for railroad watches. 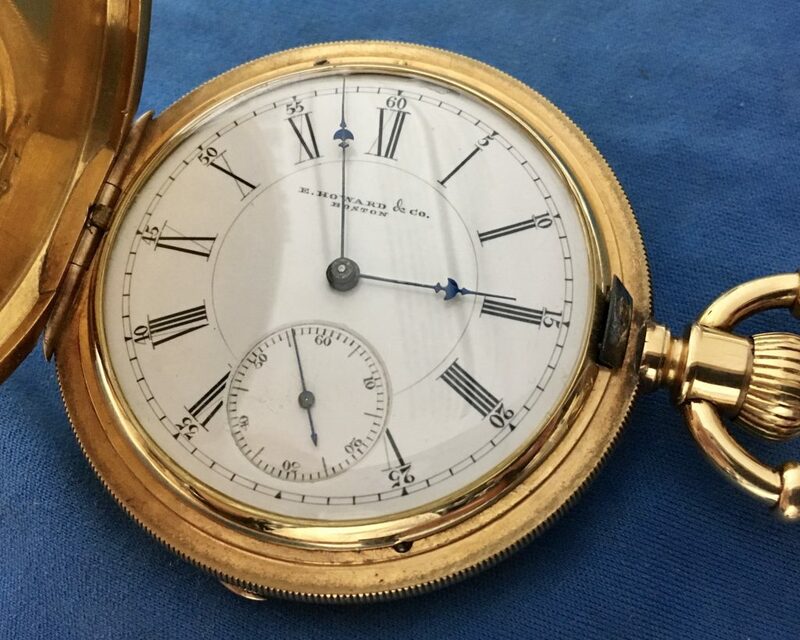 A watch (such as the one pictured above) will have “Ball official standard Cleveland” on the dial, but would have a high quality 21-23 jewel movement from a maker such as Waltham or Illinois inside. Most wrist watches of the early and mid 20th century can be identified the same manner as pocket watches (name on the dial and movement, and serial or model numbers). 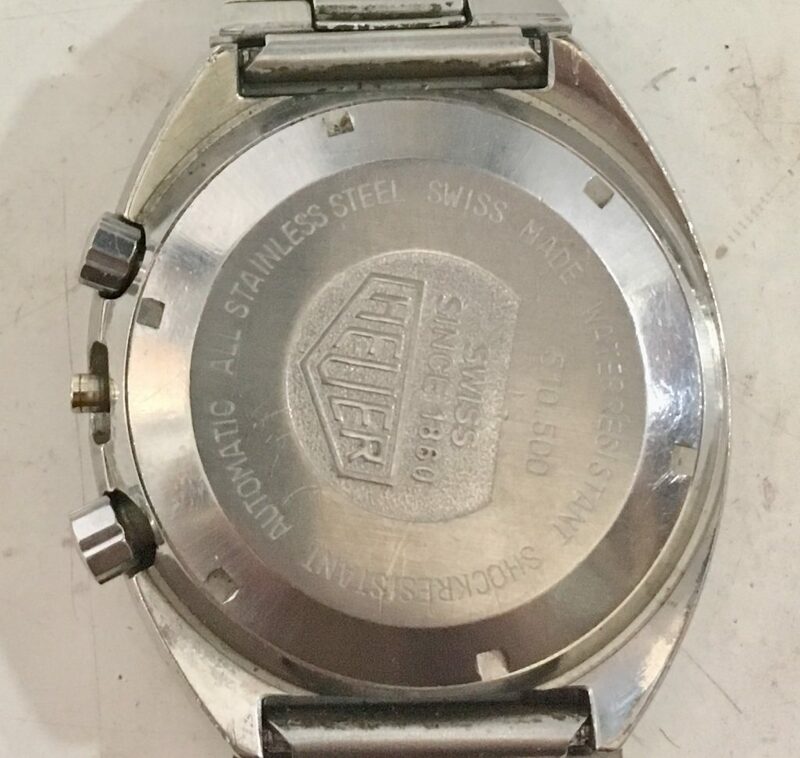 As watch cases became more dust and water resistant, screw down backs became the norm and required special tools to open. 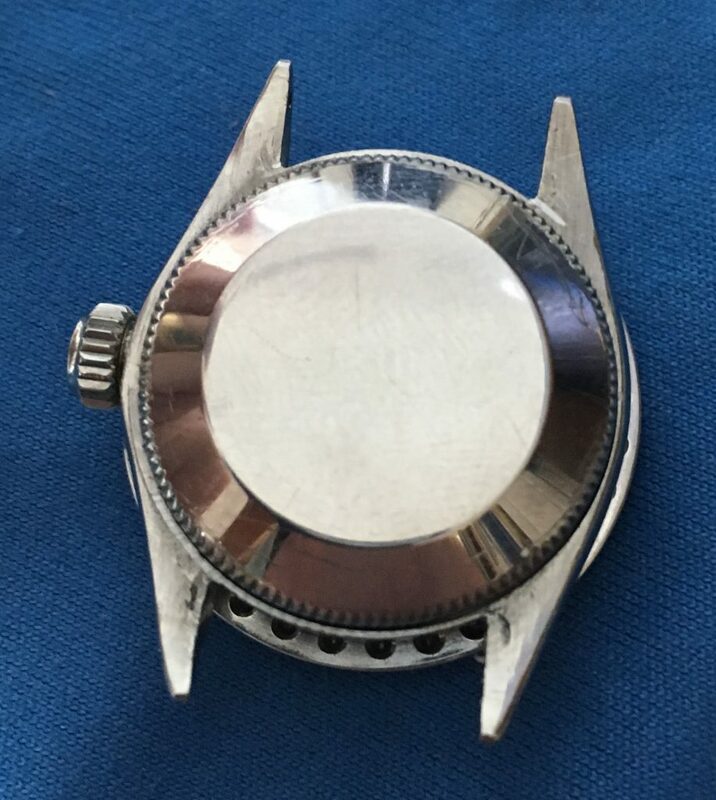 This makes it more difficult for the average watch owner to open cases and identify the movement. Even cases with snap of backs are difficult to remove without damaging the cover. Some high end makers (Rolex, Heuer…) will include a number on the back of the case that helps identify the watch model. This covers the basics of most watches, but there are many variations, and of course we have not even discussed the fake market. If you have any questions about the identity of your watch feel free to contact me.